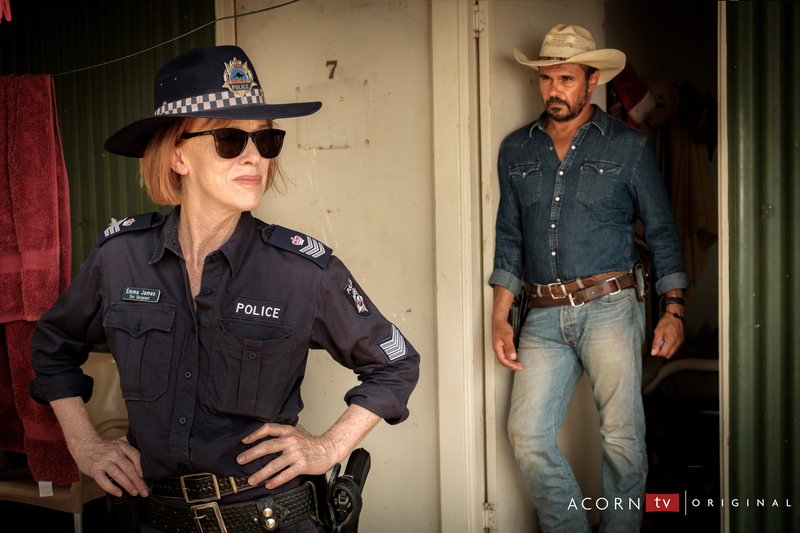 Set against Australia’s majestic landscapes and stunning scenery, Mystery Road stars Aaron Pedersen as detective Jay Swan, who is sent to the remote outback town of Patterson for what he thinks will be a simple investigation into the disappearance of two young jackaroos (workers on a sheep or cattle station). Partnered with tough local cop Emma James (Judy Davis), their investigation will gradually unpeel the layers of the town, as Jay’s ability to hunt beneath the surface reveals crimes and miscarriages of justice that stretch back into Patterson’s history. In solving the mystery of the missing boys, Jay and Emma – and the town – will learn a hard lesson – that you have to be truthful about your past to understand your present, and to have any sort of future.